Wildcat Germany explain why they translated Beverly Silver’s book ‘Forces of Labor’, which traces workers struggles since the 1860s. When the book was published in summer 2003 we emphasized its importance in a first enthusiastic review saying that it “provides a new basis for the discussions about the future of historical capitalism” (wildcat 67, October 2003). We knew that a translation into German could promote the debate on the book’s theses. The book’s “grand narrative” and its many small narratives are excitingly written workers’ and world history that will produce interest far beyond academic circles. At the same time this new vision on history provides new impetus for the - in the past few years newly inflamed - debates on war, globalization, capitalism and class struggle. The book’s particular strength is telling the (hi)story from the perspective of workers in struggle. Not literally because the description and summary of 150 years of global (working) class history inevitably relies on a bird’s eye view. But Forces of Labor elaborates on the connection between struggles from below and their effects on ruling class actions and, therefore, capitalism’s development as a world system. Workers’ struggles chase capital around the globe and from one industrial product to the next. And with every new cycle of hegemonial power, pressure from below had more impact on the shape of the world order (Beverly J. 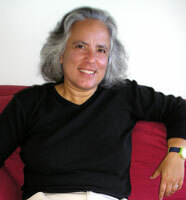 Silver presented this long-term finding in Chaos and Governance in the Modern World System, a book she published together with Giovanni Arrighi in 1999). This approach in Forces of Labor shows many parallels with an unorthodox Marxist current in Italy that later became known as “operaism” (workerism). Its early texts strongly influenced the formation of our own theory. The label “operaism” gained some new fame through the political bestseller “Empire” by Hardt and Negri but this theoretical renewal of the sixties has already become ideology again. The early sixties’ texts and inquiries written and conducted from around the magazine “Quaderni Rossi” were a critique of bourgeois industrial sociology and to the same extent, a critique of an orthodox Marxism that had lost sight of the workers. Their aim was to renew Marx’s critique, long forgotten within Marxism, of the despotism of capitalist production by starting concrete projects of inquiry. Instead of using a schematic and identity-based concept of working class, “Quaderni Rossi” focused on certain forms of production and how they lead to historically specific forms of “class composition” and associated “forms of rebellion”. The organization of production and technology was decoded as “petrified class struggle”, as the reactions of capital to open and often hidden resistance against work (Silver calls that fixes). At the same time they worked out the dialectic of capital encountering workers’ resistance only by a further socialization of labor through division of work and new machinery - sooner or later the basis of new workers’ power. In Forces of Labor we find again what Mario Tronti at that time had called a “strategic turn” within Marxism: Instead of assuming a “determination by inner laws” of capital, capital’s new movements are understood as a constant confrontation with class struggle. Instead of mystifying capital as a thing or the world system as a predetermined structure, the driving force is seen in society’s contradictions: the “endemic” class relations, the insurmountable antagonism in the sphere of production. Tronti called this the “workers’ standpoint”. On a microcosmic as well as a macrocosmic level Forces of Labor provides us with important impetuses for a renewal of the “operaist” perspective - or in Steve Wright’s terms let’s call it the “school of class composition” to avoid confusions with the ideological “multitude-operaism”. In Forces of Labor the way in which some capitalist sectors are investigated in order to grasp their importance for workers’ power sharply contrasts with the reckless triumphalism Hardt, Negri and others show while conjuring new subjects out of a hat. Silver does not use new capitalist ideologies like the “information society” and its “immaterial labor” but critically and carefully examines the several new “post-fordisms” and takes a close look at the production process and the changes within. She does not come up with definite answers on the presumable development of workers’ power - and in a world-historical turning-point phase like today that is probably not possible either. As long as new central sectors and workers’ figures fail to show up either within the accumulation of capital or within the class struggles, any choice of “new” sectors carries a certain arbitrariness. But Silver shows us how further inquiries can be developed, what they have to look for, which comprehensive connections have to be taken into account. The book gives plenty of detailed hints and suggestions, asking for more collective efforts. The macrocosmic suggestions for an expanding and updating of the workers’ position are apparent: the historical extension to here 150 years, in ‘Chaos and Governance’ even 500 years and an associated world-historical perspective. That this approach and the consideration of class struggle and workers’ subjectivity in history just originates in the “world-system school” might surprise some people, for this school has legitimately been criticized for its structuralism. In the first chapter Silver discusses this problem, arguing that the whole research-project emerged from a critique of a certain world-system school “steamroller”-structuralism. This emergence of the project has the great advantage in that from the very beginning the relation between workers’ struggles and the world-system of capitalist and state power is taken into account. In many discussions about “imperialism” the social antagonisms between the classes and the political-military antagonisms between states are being treated as exclusionary perspectives - the “anti-imperialist position sacrifices social emancipation for “national liberation”, the “social-revolutionary” position vice versa tends to ignore the antagonisms within the global system of states. In Forces of Labor the connections and inter-relation of both levels are analyzed. War and, above all, world wars are seen as integral parts of the - on a world-scale politically effective - class antagonism of capitalism. This constitutes the book’s distinctiveness. The view over several centuries allows identification of the general character as well as the historical novelty of the situation we find ourselves in today. The question is not what happens again and again but what kind of shifts occur during historical cycles. Where does the systems’ development leave previous, apparently established pathways, where are they blown apart? This concerns the dialectic of war and class struggle in particular: Will it be possible once again to cover up - at least temporarily - the social contradictions through world-war or a world-wide “war against terror” and block emancipatory struggles? Or does the world-wide power of the proletarianized - for the first time in history - open up a new possibility. Can it already influence the decay of the prevailing world-order in a way preventing another decades-long period of war and mass murder - characteristic of any global change in governance and hegemony so far? Forces of Labor is a stimulus and an invitation to tackle these topics theoretically and practically.